Miami Divorce Lawyer - Miami Beach Child Custody Attorney - Vilar Law, P.A. Contact Miami Beach Child Custody Attorney Vilar Law, P.A. Getting to Know Patrick Vilar Vilar Law, P.A. Having experienced and compassionate legal representation during difficult times can make all the difference. Since 1996, Vilar Law, P.A., has been providing legal services in Miami, exclusively in the area of family law. We at Vilar Law, P.A. adhere to the philosophy that we are not merely treating a legal problem, but rather helping an individual solve one of life’s potentially traumatizing experiences with the least amount of stress and expense. We do not deal with legal issues in the abstract, but as complicated emotional and financial problems. 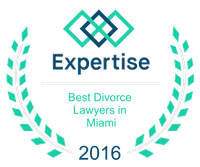 The Miami divorce lawyers at Vilar Law, P.A. represent the person as a whole and not just his or her case, and in doing so, we are committed to the highest standards of professional competence and integrity. In guiding you efficiently to a satisfying resolution of your case, which brings mental as well as legal closure to your particular matter, we dispense clear and straightforward legal advice in a caring and considerate manner, and we fight unrelentingly for your rights in court. To maximize the results we can obtain for you and to minimize the cost of achieving these results, it is important that you seek our legal counsel as early as possible in your case. The time to seek legal advice is at the very beginning. It is important that each and every step you take is carefully analyzed in advance with the assistance of a Miami divorce attorney who has extensive experience. The best decisions are made when you thoroughly understand all of your legal options and their personal implications. We at Vilar Law, P.A. pride ourselves not only on our ability to provide top-notch legal services, but also personalized legal representation. You know that when you become a client of Vilar Law, P.A., you are not hiring just an attorney, but also a friend, confidante, and life counselor who cares about you as a person as much as the legal issues in your case, and will give your case the personalized attention you deserve. Our practice comprised all aspects of family law, including complex divorces, custody, child support, complex equitable distribution, spousal support and/or alimony, prenuptial agreements, post-judgment enforcement and modification, paternity and domestic violence. When you contact our offices, we will set up your personal consultation with Miami divorce lawyer Patrick Vilar for a preliminary assessment of your particular needs and issues. If you agree to retain our firm, we will then enter into a formal agreement that details all of the terms of your legal representation by Vilar Law, P.A. This website has been launched so that you can better understand the experience, expertise, and personalities of the attorneys at Vilar Law, P.A. to learn more about our attorneys please visit their biography pages. We’ve also provided an easy and convenient way for you to contact the firm. Please don’t hesitate, and contact us today. "Our thanks for the thoughtfulness and kindness that are such a part of you!" I was not only lucky to find an excellent lawyer, but I think a friend. You are very understanding and easy to talk." "Thank you so much for your time, for the consultation and for educated me on what the law says abut my rights. I was feeling embarrased to ask and you made me feel comfortable, thank you."